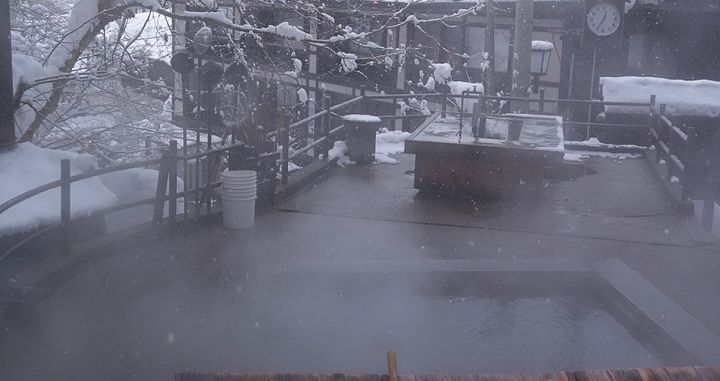 An onsen on Nozawa's main street. Photo: Scout. 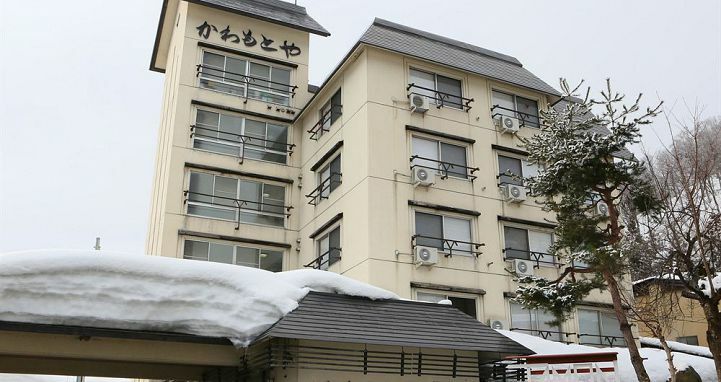 Nozawa Onsen is perfect for skiers because it features a fantastic ski mountain and an abundance of hot springs. 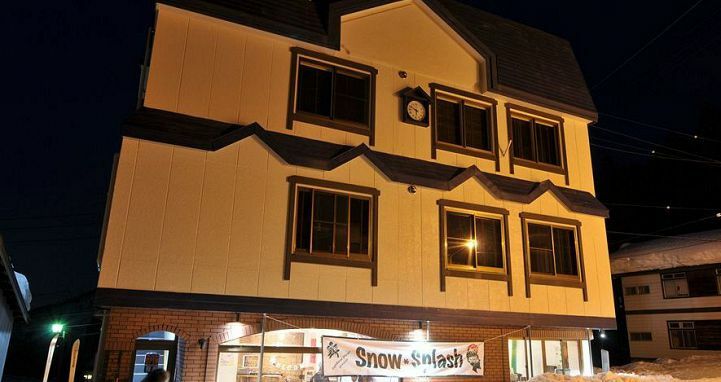 Cute and authentic, Nozawa Onsen provides the classic Japanese ski experience. 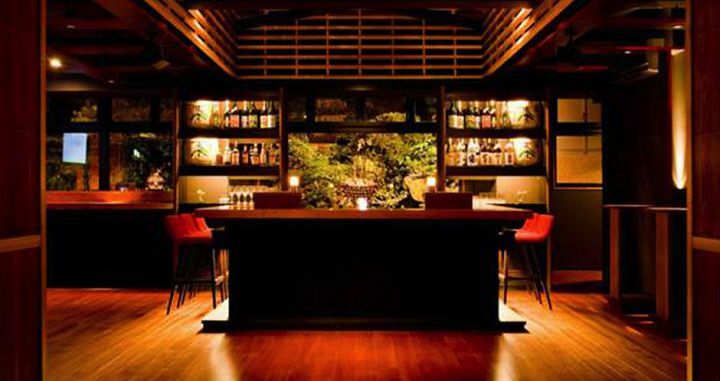 The traditional Japanese-style village where Western influences are kept to a minimum. 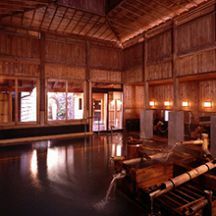 The many public and private onsens that are dotted throughout the village – providing a welcome opportunity to soak those aching ski muscles. On powder days, the lapping tree runs at the top of the mountain are unbeatable. There are a proliferation of street vendors serving pork buns and steamed dumplings. 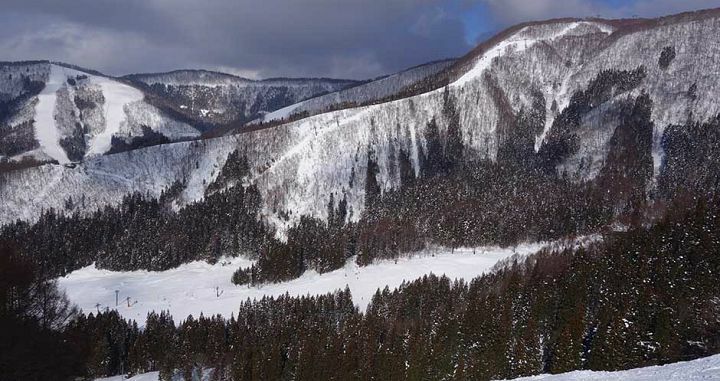 Compared with many other Japanese resorts, there’s some steep skiing to be had. The slopes are empty for an hour starting at exactly midday, which is when all the Japanese head in to eat. So if you want the slopes to yourself, have an early or late lunch. 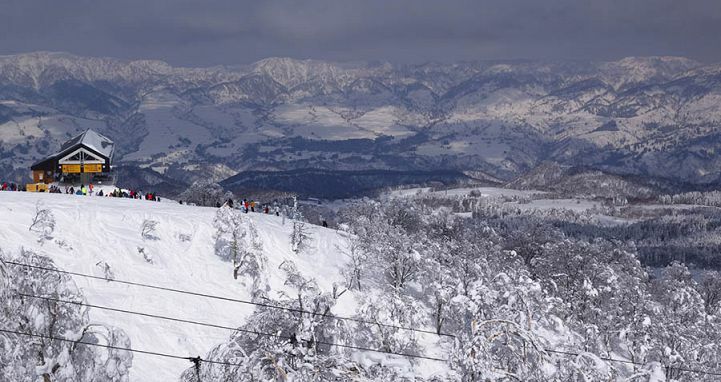 It’s easy to combine a trip to Nozawa with one of the many surrounding ski areas such as Hakuba, Myoko or Madarao. Read up on the onsen rules, and respect them. You can get bus transfers direct from Narita airport. If you are heading to Japan for a ski vacation and are craving an authentic experience, look no further than Nozawa Onsen. 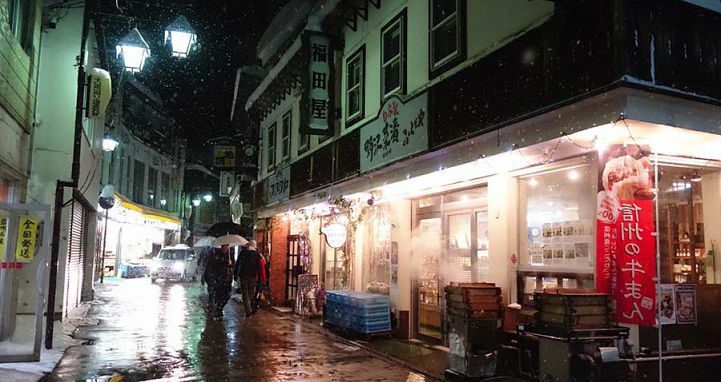 This cute village, which is about an hour from Nagano, is characterized by cobble-lined streets that meander through a relatively small collection of pensions, ryokans, and only the occasional Western-style hotel. 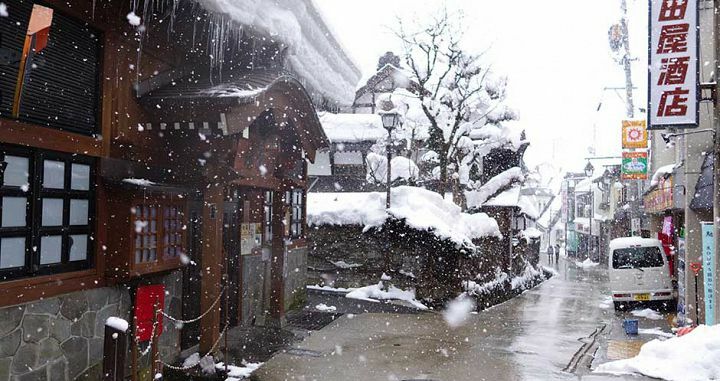 Nozawa Onsen makes the claim of being the birthplace of skiing in Japan and it’s easy to see why – it snows a lot here! This is thanks to its proximity to the coast – the moisture in the air makes for a plentitude of snow. Although the snow here is a little heavier than the dry powder Japan is famous for (because of its closeness to the coast), the tradeoff is its sheer quantity – they don’t even have snow-making equipment here. The first ski club was established here in 1923, and since that time the slopes have come a long way. Development really started to take off in the 1930s when Hannes Schneider, a famous Austrian skier, moved to the area to teach his renowned Arlberg skiing technique. The Austrian influence is still noticeable today – the village is ‘sister’ to the St. Anton resort in Austria, and there are various hotels, restaurants and ski runs with Austrian names. 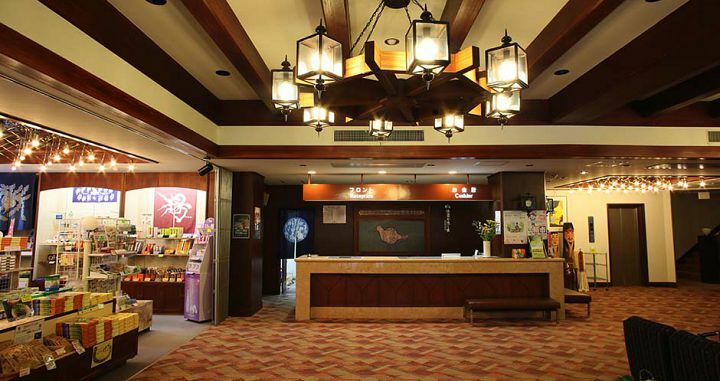 More recently, the resort has experienced growth thanks to being one of the venues for the 1998 Winter Olympics. As a result, the lifts and facilities are surprisingly good and the ski area itself is large. Offering 1000 meters of vertical over about 300 hectares, it is one of the largest in Japan. The mountain & slopes at Nozawa Onsen are great. There’s a decent amount of beginner terrain with three dedicated areas at the bottom of the mountain as well as the Paradise area in the middle. There’s a range of runs for intermediates and some steep terrain to challenge advanced skiers. Scout particularly loves lapping the top of the mountain at the Yamabiko area. The runs might be short, but no one run will ever be the same thanks to the varied terrain – including gullies that provide natural half-pipes, and glades of trees. The only downside for more advanced skiers is that the challenging areas are at the top and bottom of the mountain, separated by long stretches of relatively flat terrain (snowboarders beware!). But if you’re patient enough to connect some lifts together, you can have some of the longest thigh-burning runs in the whole of Japan. Off-piste skiing (within the resort boundaries) is permitted in some areas, and not in others so can get a bit confusing. Signs at the top of the mountain indicate that it’s not permitted, and that it’s at your own risk. But no one seems to take any notice and we didn’t see any evidence of Ski Patrol. Out-of-bounds skiing is definitely not allowed, so if you do get tempted by the tracks leading off the top of Mt Kenashi, do so at your own risk, and be prepared for avalanches and to lose your ticket. A day ticket at the window costs ¥4600 for adults and ¥2100 for kids (under 12). Three-day tickets are ¥12,000 and ¥5,500. Nozawa Onsen is great for families – especially those wanting their children to have a more authentic Japanese experience. There is a ski school with English speaking instructors and kids will love the resort’s official mascot – Nasuki. 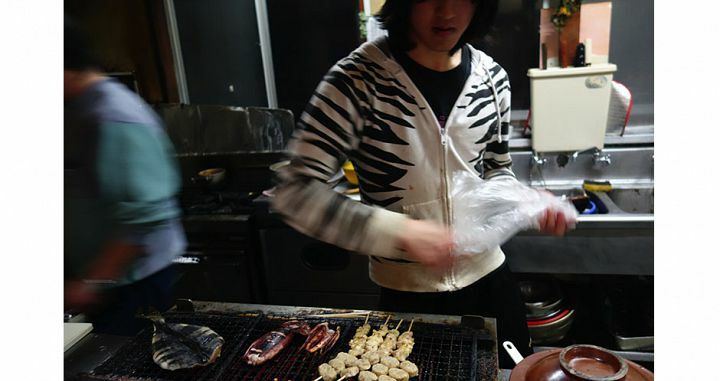 Nasuki resembles the village’s famous picked vegetable ‘Nozawana’ and is an avid skier and snowboarder! He can be found on the weekends at the Hikage base area during the peak winter months. 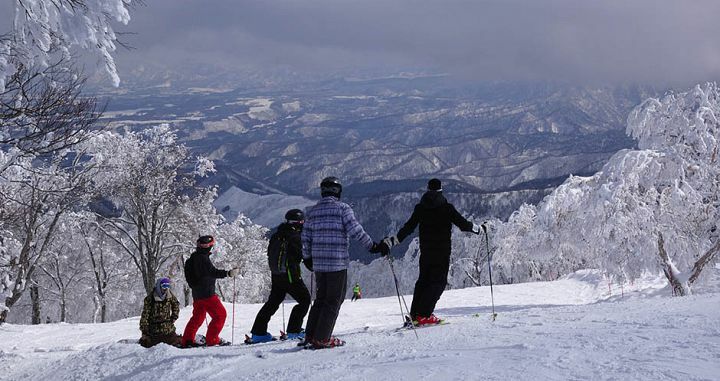 The main ski school and beginner base is at the Hikage area, which is easily connected to the Nagasaka area by a special snowmobile train – almost more fun for the kids than the skiing itself. For non-skiing kids there’s a day care nursery (for a charge) and a free-of-charge ‘Kids Park’ on weekends with a bouncing castle, as well as tubing and sledding. More details are in your Scout Field Guide. The local authorities carefully restrict development in the Nozawa village. That has a definite upside in that the charm of the village is retained and it hasn’t been overdeveloped by foreign investors (like other Japanese ski resorts). 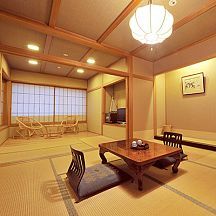 As a result, there are many pensions and ryokans where you can experience the traditional Japanese style of accommodation, to the point where many of the operators don’t speak any English. However there are also quite a few places we’ve found that will make Westerns feel comfortable, and with staff that speak English. Some give you the Japanese experience – where you sleep on a futon in a tatami mat room – while others provide the option of Western-style beds. Meanwhile, if you just want a regular hotel room or apartment, there are a few good options in this village thanks to the Western influence that has crept in recently. It’s important to note that there are very few ski-in ski-out options here, as most of the accommodation is central to the village. You should also be aware that due to the restrictions on development, accommodation can book out well in advance of the ski season, especially around Christmas and the Fire Festival on January 15. In addition to regular skiing, there are some fun extra activities you can enjoy during your stay. There is night skiing on Saturday evenings and during New Year and national holidays. Non-skiers can enjoy a ‘Snow Experience’ (by cat that leaves from the Yamabiko station), and there are also snowshoe tours. There are several cross-country trails around the area. 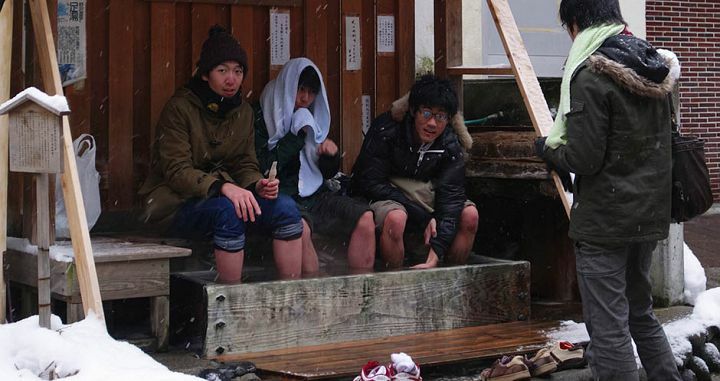 Of course, the main extra attraction in Nozawa is the onsens. Once you get rid of your shyness, you’ll find getting naked with a bunch of strangers feels completely natural. The 13 public onsens or ‘soto-yu’ are free (they are looked after by locals) – just be sure to respect all the rules. Meanwhile, there are more luxurious onsens in the hotels (for a fee – usually around ¥1000) and if you want to bathe together as a couple or family (or you just can’t bare getting naked in front of strangers), you could head to one of those or to the large outdoor onsen at SPArena – where bathing suits are compulsory and genders are mixed. If you need a day off, a side trip to see the Snow Monkeys is well worth it. Monkeys sit and preen themselves in the hot springs, just like the humans in the onsen. Don’t worry – those pools are strictly for monkeys only! There are direct shared bus services from Tokyo City and Narita Airport, as well as semi-private shuttle services (the journey takes approximately 5 hours). Alternatively, you could come via train and Shinkansen (bullet train) to Iiyama station and catch a bus from there. The Nozawa Onsen Liner bus departs regularly according to the Shinkansen timetable. However it doesn't run after 8pm. You can catch a taxi to Nozawa however if you have lots of gera it could be a squash in their typically small sedans. If you are linking up with Hakuba, Myoko Kogen, Shiga Kogen or Madarao there are daily inter-resort bus services. 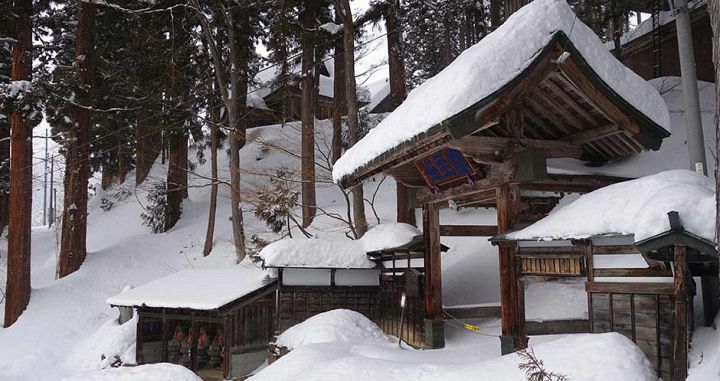 Nozawa itself is small and easy enough to get around on foot – you will rarely need a taxi. You can book the Narita or Haeda bus transfers or inter-resort bus transfers as part of a Nozawa Onsen Ski Package with Scout. Scout Field Guides have more detail on transport options, including contact details and prices. 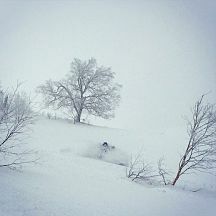 The Nozawa ski resort season usually opens for skiing around mid-November and closes around early May. December can be risky, as the coverage may be marginal (and there is no snow-making) but you could be rewarded with big dumps. January and February are great months when it’s cold, and the powder is (usually) plentiful. March is still great, with smaller crowds. 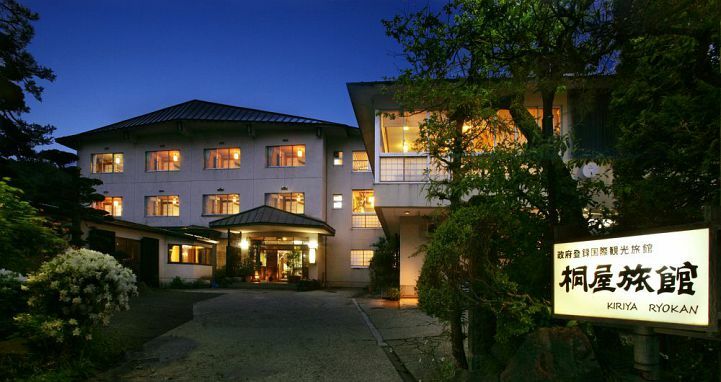 Due to its proximity to Nagano and other urban areas, the resort can be crowded on weekends. New Year: NYE December 31 & Jan 1. Night skiing until 11.30pm, then fireworks. On New Year’s Day, enjoy free sake on the slopes. Smile Winter Festival: Give thanks to winter with Japanese ‘Taiko’ drummers, free sake, and a paper, scissors rock competition. Usually occurs in early January and mid-late March. Nozawa Onsen Fire Festival: Jan 15th (every year). One of the biggest fire festivals held in Japan. Watch the village’s 25 and 42 year-olds do battle before the sacred pavilion. Winter Light Festival: Fireworks, sacred lanterns and torchlight skiing. Early March. A regular roundup of Scout magazine articles and news.